A picture is worth a thousand words. 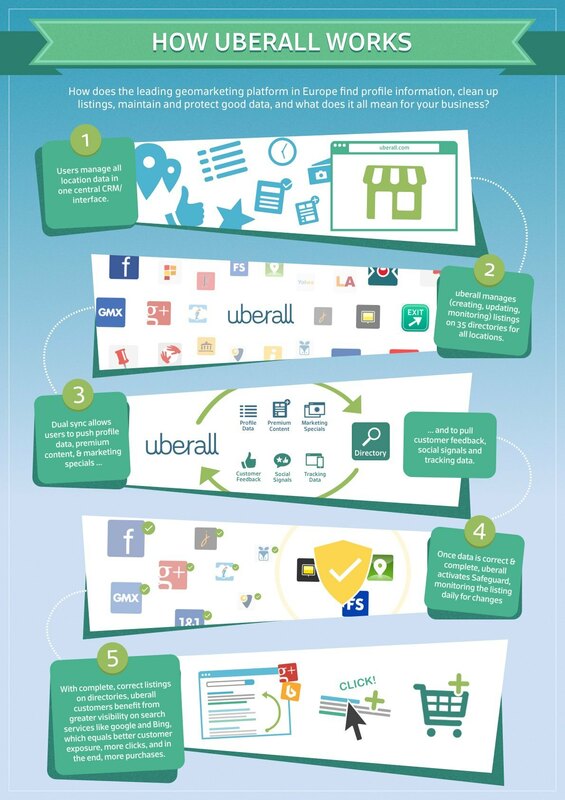 These 5 easy steps will explain how Uberall’s technology works. It has never been easier to make your business, your products and your services visible to every customer searching for a local purchase option and pull even more clients and customers into your shop.